Young, L. (2017). 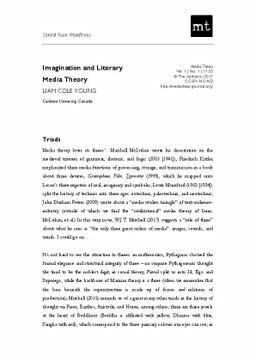 Imagination and Literary Media Theory. Media Theory, 1(1), 17–33.